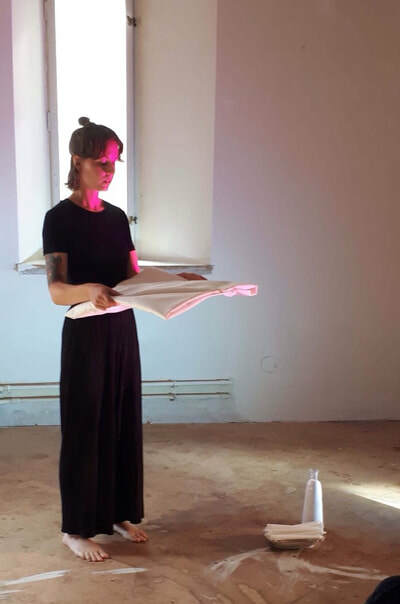 A work-in-progress performance-installation, live at Stockholm Fringe Festival - STOFF 11.-15.9.2018. 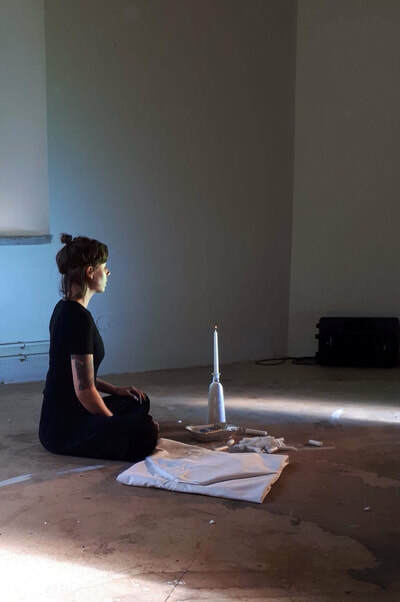 Contemplation is a performance about fighting, arguing and competition. 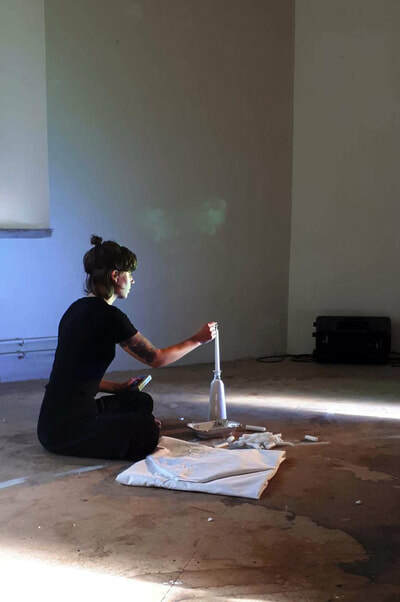 The performance was developed through the whole festival, and three different versions were performed live, on Wednesday, Friday and Saturday. The work was nominated for "STOFF 2018 Emerging talent award” by a jury who consisted of 15 industry delegates and past STOFF Award Winners. Stockholm Fringe Festival is a multidisciplinary arts festival, that hosted 70 performers/groups from 23 countries in 2018. 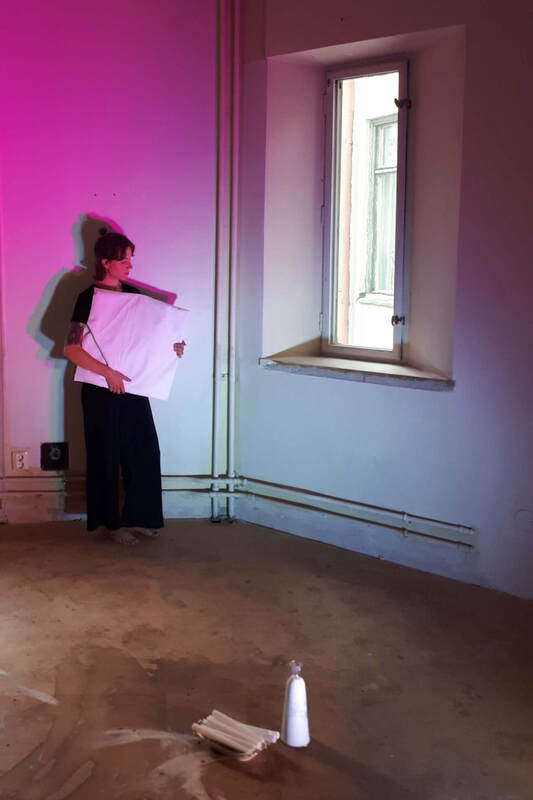 The work is still in progress, and will be performed as part of my debut solo exhibition in Helsinki, Myymälä2 gallery, in February/March 2019. 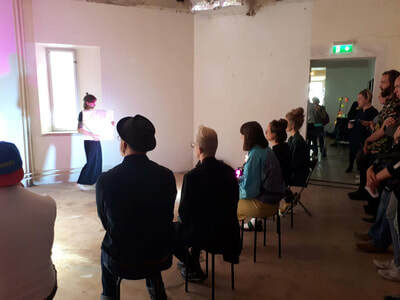 Contemplation part I was performed at the Night of the Arts Academy event, in Turku Arts Academy, 9.11.2017.